Sustainability is an important concept, but is often defined vaguely. 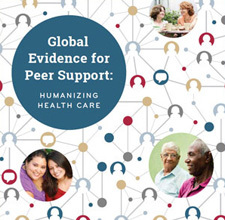 When it comes to sustaining a peer support program, there are individual, organizational, and system aspects that need to be addressed. This part discusses strategies to sustain health behaviors, common organizational and system issues that you should be aware of, the current development in the field regarding program recognition, certification and quality assurance, as well as how you can advocate for peer support and your program.